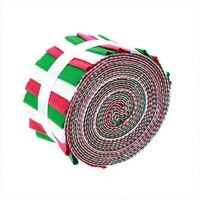 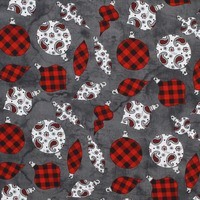 Create a quirky wallhanging or quilt with this Mr. & Mrs. Claus Fabric Panel by Tana Mueller. 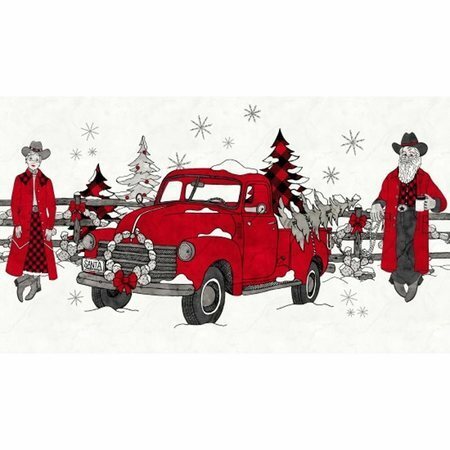 Santa and Mrs. Claus, dressed in their best plaid, have gone western in this 23" panel. 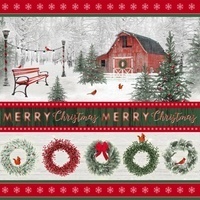 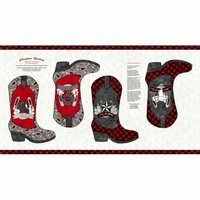 The cowboy boots, hats, and rustic look paired with red, black, white, and greys give this Mr. & Mrs. Claus Fabric Panel a unique look that is almost reminiscent of a coloring book page.